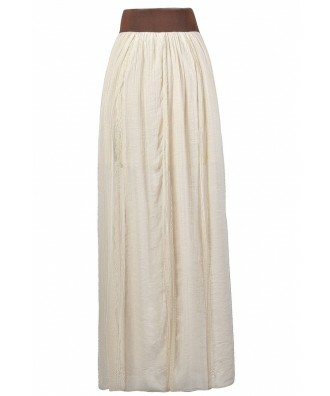 You have added Leatherette Banded Gauzy Lace Panel Maxi Skirt in Cream into shopping cart. 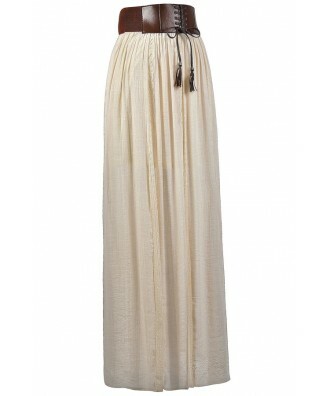 This adorable maxi skirt has a laid-back boho chic look that makes a big impact. 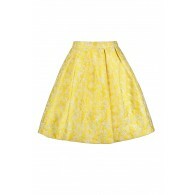 We love that this skirt can be worn in Spring, Summer, or Fall, depending on how you accessorize! The Leatherette Banded Gauzy Lace Panel Maxi Skirt is fully lined to the mid-thigh. It is made of a gauzy fabric that gives it a prairie girl vibe. 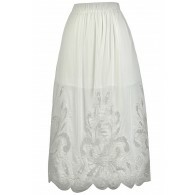 Vertical lace panels down the front of this skirt add a romantic touch. The best part of this skirt has to be the bold leatherette band at the waist that laces up in the front. The Leatherette Banded Gauzy Lace Panel Maxi Skirt is a cute option to pair with a fitted tank or tee. Toss a denim jacket over this skirt for a put-together look. This skirt looks great paired with flat sandals, wedges, or boots in the fall. Details: Lined to the mid-thigh. 100% polyester. Contrast: 90% polyamide, 10% spandex. Lining: 100% polyester. Hand wash cold water. Do not bleach. Line dry. Iron low. Do not dry clean. Small measurements: Length from top of waist to hemline: 43". Waist: 30". You have added Leatherette Banded Gauzy Lace Panel Maxi Skirt in Cream into Wishlist. 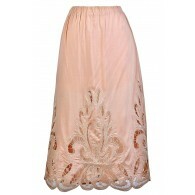 You have added Leatherette Banded Gauzy Lace Panel Maxi Skirt in Cream for Stock Notification. 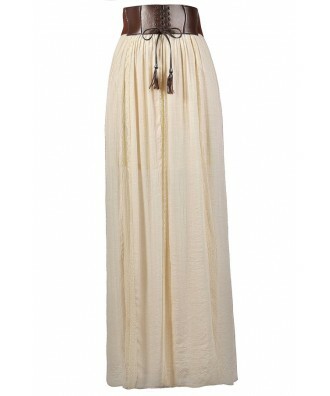 You have set Leatherette Banded Gauzy Lace Panel Maxi Skirt in Cream as a loved product. 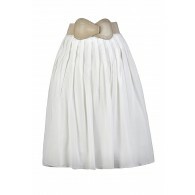 You have removed Leatherette Banded Gauzy Lace Panel Maxi Skirt in Cream as a loved product.